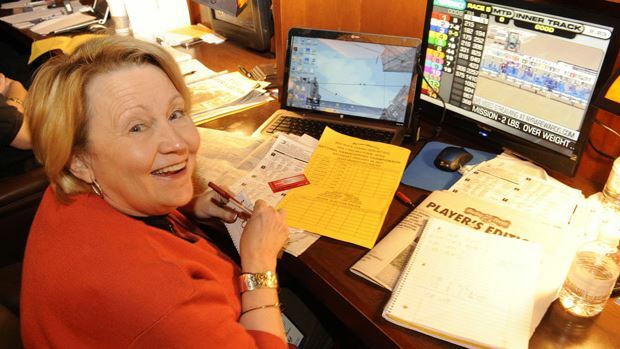 DEL MAR, Calif. (Saturday, August 22, 2015) – Judy Wagner, the first and only horseplayers’ representative on the National Thoroughbred Racing Association (NTRA) Board of Directors, was re-appointed to a three-year term at the organization’s Annual Meeting held Friday at Del Mar Thoroughbred Club. Wagner, Secretary and Chairman-elect of the Association of Racing Commissioners International (RCI) and a member of the Louisiana Racing Commission, joined the NTRA Board in 2014. Earlier this year, Wagner visited Capitol Hill to advocate for important tax changes for horseplayers. Board members elected to one-year terms were Reynolds Bell Jr. (Thoroughbred Owners and Breeders Association); Robert Clay (The Jockey Club); Alan Foreman (Thoroughbred Horsemen’s Association); Craig Fravel (Breeders’ Cup Limited); Chris Kay (New York Racing Association); Joe Morris (Thoroughbred Owners of California); Bill Thomason (Keeneland Association); and Alex Waldrop (NTRA). The other members of the NTRA Board are Craig Dado (Del Mar), Dennis Drazin (Monmouth Park), Mike Rogers (The Stronach Group) and Scott Wells (Thoroughbred Racing Associations). In addition to holding its Annual Meeting of the NTRA Board and NTRA Charities, the Board received an initial assessment of the Daily Racing Form/NTRA National Handicapping Championship (NHC). Now in its 17th year, the NHC has grown into one of the industry’s most high-profile non-racing assets. The Board also received updates on the NTRA Safety and Integrity Alliance, NTRA Advantage sales program, NTRA Communications and NTRA mid-year financials. Also on Friday, Waldrop, NTRA COO Keith Chamblin and Wagner participated in a federal legislative briefing attended by approximately 30 individuals, including horseplayers, owners and breeders and industry officials. Updates were provided on issues that included tax fairness for horseplayers, renewals for racehorse and bonus depreciation, medication, immigration and Internet gaming.